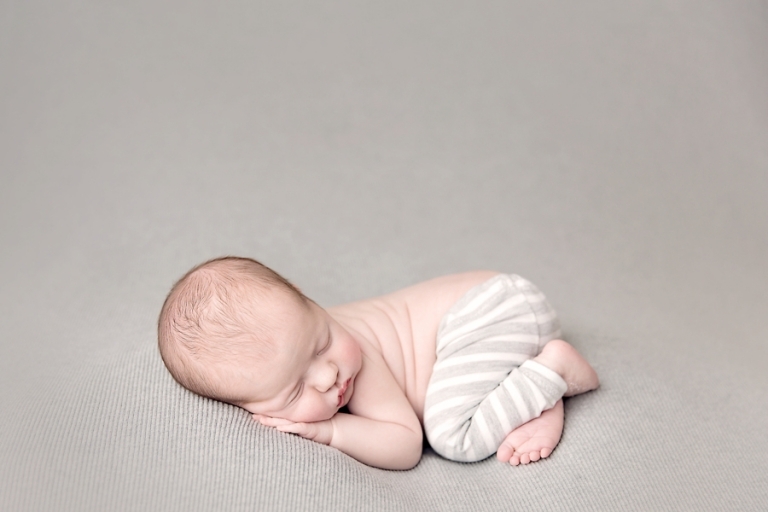 Mr. Carter came in for his newborn photos Cleveland session at 10 days new. Oh goodness, I was so excited to meet this little guy! His family are one of my oldest clients and such sweet people! I was lucky enough to document his older sister from infancy on and now I get to do the same with Carter! How amazing is that?? Especially when it’s such an awesome family, I feel like I won the jackpot! One of the perks of having a long standing relationship with clients is the trust you build over time. His momma gave me the green light to do whatever and boy was I excited to pull out items that had not been used in a long time! 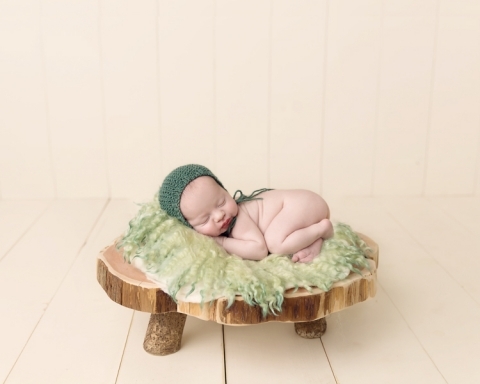 I love this set with a touch of green, especially this little stool by Luneberry, fuzzy layer by Buttercup Baby Props, and this bonnet by Sarah’s Stitches. This new barn wood that we just installed in the studio is my new favorite!! I was so excited to use it for the first time with Carter! 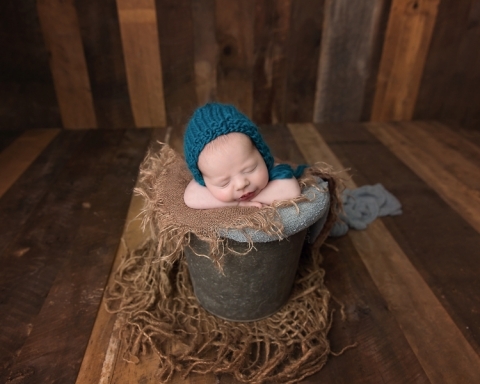 And of course I love a baby in a bucket…who doesn’t?? And a bit of blue and it’s just right. Right?? I think so! The bum up pose is always a favorite! And grey is almost always requested in sessions. Love these pants by Baby Bliss Props, so cute and stretchy! Mary Christine Photography is a Cleveland Ohio Newborn Photographer that specializes in baby’s first year. Looking for newborn photos cleveland? 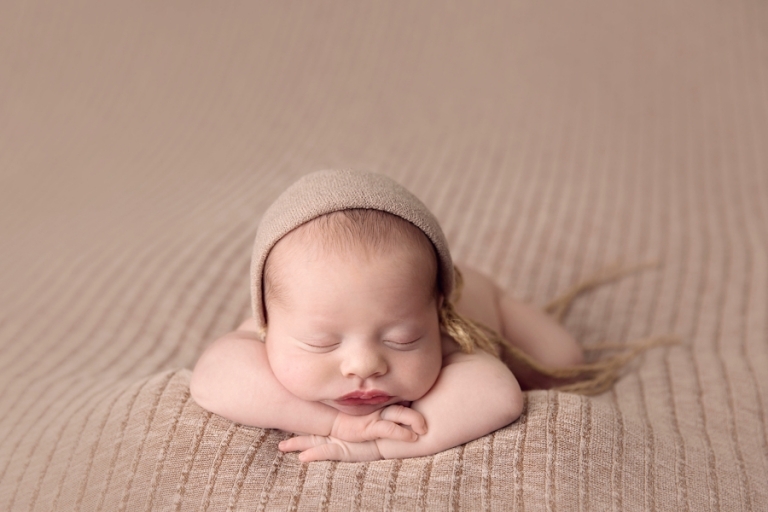 Please visit the newborn portfolio page and check out other newborn sessions on the blog. To contact Mary, please email MARY@MARYCHRISTINEPHOTOGRAPHY.COM or call 330-241-0424.